Boldwood tickets available in the New Room shop, on Eventbrite (online booking fee applies), or on the door. Thursday 11th October, 7.30pm (doors 7pm, cafe open from 6.30pm) – Unreserved seating. Formed in 2003 by accordionist Becky Price, Boldwood play their own arrangements of tunes from 17th & 18th Century English dance music collections Their distinctive, dynamic sound springs from a merging of styles – each member of the band shares a love of traditional music & a grounding in classical training, perfect for these jigs, reels & hornpipes with a touch of George Frederic Handel. Unusually, Boldwood straddle the concert hall/dancefloor divide & the energy of their playing derives much from their considerable experience of playing for dancers. This particular concert at the New Room will be new recruit Helen O’Hara’s first outing with the band, playing violin alongside long-term members Kate Moran & Daniel Wolverson (both violin/viola). A great opportunity to hear lesser known repertoire from a golden age of English music, played with exuberance, subtlety & spontaneity. Folk at the New Room is a monthly folk music series, featuring local, national and international artists from the folk scene. 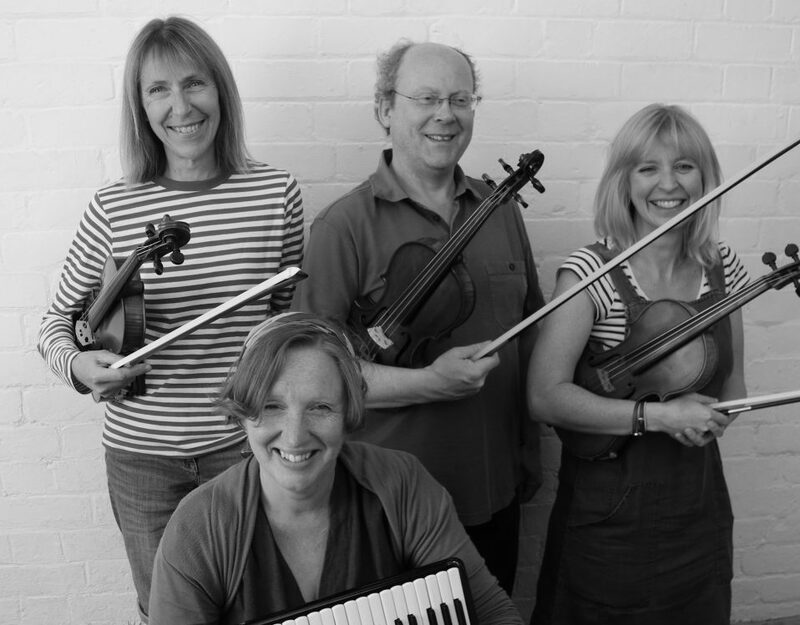 Previous artists include Methera, Stray Local, Bristol Folk Singers and Laurel Swift’s folk musical “Travelling with Thomas”. Find out more about forthcoming gigs here.